I had just updated to WordPress 3.1 and i must say its a huge improvement for WordPress Fans everywhere! So far the updates took just fine with no “Side-affects” to any plugins and no theme problems..it was a smooth upgrade for me. 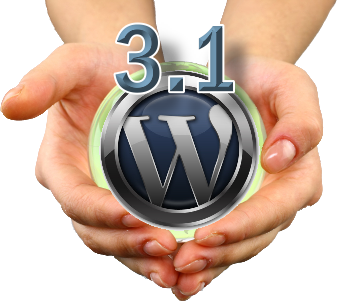 Please leave your comments below if you have any feedback on the WordPress 3.1 Upgrade.